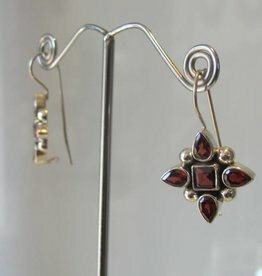 Handmade silver dormeuze earring . 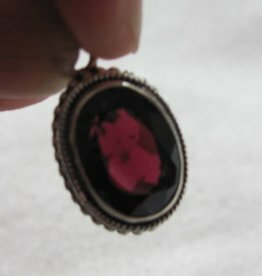 1 cm long excluding the integrated ear hook.. Has a hand facetted garnet stone ,. 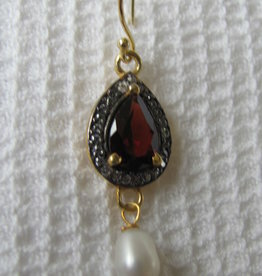 The stone is open at the back letting light shine through them and to enhance the stones working.